New Videos from Symphony of Toys!! 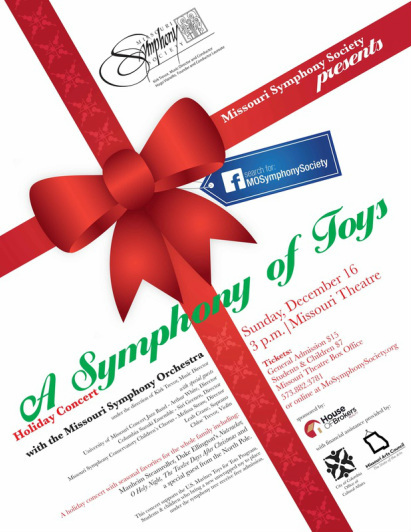 Two videos from Missouri Symphony's Symphony of Toys 2012 have been uploaded to YouTube! Check them out! Bach's Gift - Chamber Concert - St. Columba Catholic Church Thursday, July 19 7:00 p.m.
Bach's Gift - Chamber Concert - St. Columba Catholic ChurchThursday, July 19 7:00 p.m. Benefit Recital to be Auctioned in February! Silver medalist at 2008 Ima Hogg Competition. Introduced to violin at age 2 by her mother—Dallas Symphony violinist, Heidi Trevor Itashiki. Studied with Arkady Fomin. Completed undergraduate degree at Cleveland Institute of Music and continues education at Rice University.